Zain Ejiofor Asher is a British-Nigerian news anchor at CNN International based in New York City. She joined CNN as a business correspondent in 2013. In addition to financial reporting, Asher used to write a monthly column in Money Magazine. Previously, Asher co-anchored CNN Newsroom on CNN America. The resident of New of New York, United States, Asher reportedly earns around $60,000, as her yearly salary from the network, and as of 2018, she reportedly has an estimated net worth of over $2 million. She is currently married to her fellow journalist boyfriend Steve Peoples(2017) and has a beautiful son with him. Zain Ejiofor Asher was born on August 27, 1983, in Balham, London to parents Arinze Ejiofor and Obiajulu Ejiofor. She holds a British-Nigerian nationality and belongs to Black ethnic group. Further, Asher grew up with her older brother Chiwetel Ejiofor (now a famous actor) and a sister namedKandibe Ejiofor. 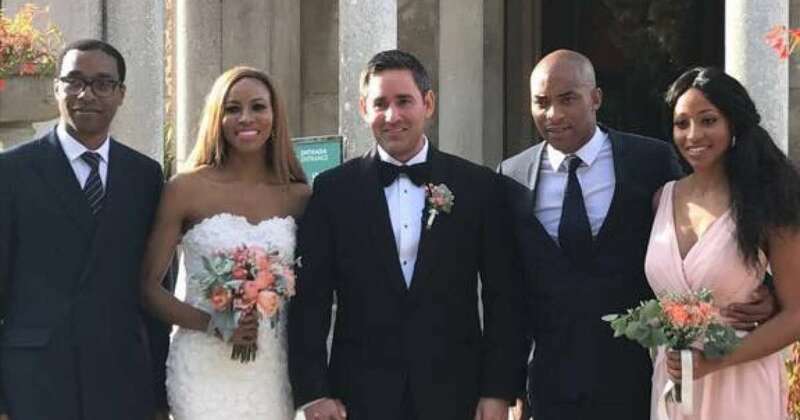 Zain Asher's family is a native of London’s Forest Gate. Her father, Arinze was a doctor and her mother Obiajulu was a pharmacist. Their ancestors were originally from Nigeria. Me and my mother circa December 1983. Happy birthday to the most sweet, thoughtful and supportive mother in the world. Being your daughter has been an enormous joy. I'm so happy God paired us together. I wouldn't change a thing about you. Love you mum! ?? Asher holds a dual degree in French and Spanish from Keble College, Oxford University in 2005. She later graduated from Columbia University's Graduate School of Journalism in New York City in 2006. Zain Asher, one of the popular financial reporters of CNN has an estimated net worth of $2 million. As of 2018, she receives an annual salary of $60,000 from her successful reporting career with CNN. Further, she has added a good sum of money from her monthly column too. The average salary for CNN anchos is reported to be around $20,000-$120,000 in a year. Being a regular anchorperson of CNN, Asher has added a good sum of money than her fellow anchorwoman like Lynn Smith, Laura Diakun, Christi Paul, etc. Some of the popular female anchors working for popular television networks are Hannah Storm, Sage Steele, Jill Arrington, Erin Andrews, and Linda Cohn. She currently, lives in New York, United States, along with his family, and has a beautiful home there. After her post-graduation, Asher became a full-time reporter for Money Magazine, where she wrote finance articles, career, and investment news. Later, she became a TV reporter at News 12 Brooklyn, reporting from Brooklyn, Bronx, and Connecticut. She joined CNN in 2013 as a business correspondent covering economic news from the NY stock exchange, U.S. Federal Reserve monetary policy, and high profiles IPOs. She was based in New York City and lent her expertise in finance to various programs in the network including Quest Means Business and CNNMoney with Maggie Lake. As of 2018, she is the regular host of CNN Newsroom, which regularly aires on the weekends. Asher currently hosts the Marketplace Africa, CNN’s premier weekly business show about the continent and its place within global markets and anchors CNN Newsroom on weekdays. Some of the popular stories which Asher has covered for CNN are; Boko Haram’s attacks, terrorist attack at the Boston Marathon, Charlie Hebdo attack etc. In 2015, Asher gave an inspirational talk at the TEDx Talks, a popular community of people having a wide range of interest and skills. Asher is known as a talented anchor of newsroom desk for the CNN news source. As of 2018, she is 35 years old. She got engaged with her boyfriend Steve Peoples, a political journalist for AP in 2016. The former lovers tied the knots in an intimate wedding ceremony on 30 September 2017 in Lisbon, Portugal which was attended by her family members and close friends. Zain Asher, the bride wore a unique dress made by Designer Ferona which took over 3000 hours to craft whereas the groom looked quite charming with the classic black tuxedo matched up with black shoes. Together with her husband, Asher has a beautiful baby. Recently on December 20, 2018, she revealed her son's picture for the first time in media through Instagram. Besides being popular in the media industry, Asher has a good fan following on social media too. She has more than 3k followers on Instagram and 20.8k followers on Twitter. Asher identifies herself as a devout Christian by religion. Further, she loves spending time with her family in leisure time. Her older brother and famous actor, Chiwetel Ejiofor won an Oscar nomination for the Academy Award-winning movie 12 Years a Slave in 2014. She got the opportunity to report that her brother had been nominated for an Oscar, live on CNN.